Akiva, a trilingual Jewish Day School, treats each child as a unique individual within a community of learners. Child- and family-centered, we foster a partnership between school and home. Our high quality academics and emphasis on sound social/emotional development help teach the whole child our core values of life-long learning, respect, integrity and fair play. 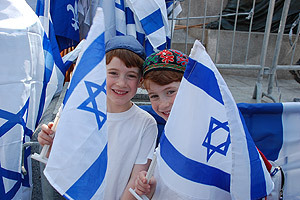 We facilitate active involvement in the cultures of Quebec and Canada, and we rely on our Jewish traditions to shape students' personal identities and lifestyles. Our calendar is informed by the traditions and celebrations of our Jewish heritage, and we embrace families from many different Jewish backgrounds.